A jean jacket is the ultimate wardrobe staple & comes in all shapes & sizes. With universal appeal, it can fill so many gaps in your closet. But, finding the shape, wash & length that’s right for you can be a challenge. You may have to try on a few to see what works with your particular style and body shape. When searching for a layer that will last, keep these three things top-of-mind. For the sake of longevity, look for a sturdy denim that has little to no stretch. You don’t need to be too concerned about whether or not the jacket buttons up, but make sure it’s comfortable. Sleeve length may vary based on your size, but this is an easy thing to tailor & you can always cuff your sleeves for cool-girl appeal. A classic denim jacket hits at hip length, which is ideal for pairing with jeans or pants since it won’t cut you off at the waist. A cropped denim jacket is a good choice when you want to wear it with skirts and dresses, as the shorter length visually raises your waist and elongates your legs. Just like jeans, denim jackets come in all shades of blue (and beyond). 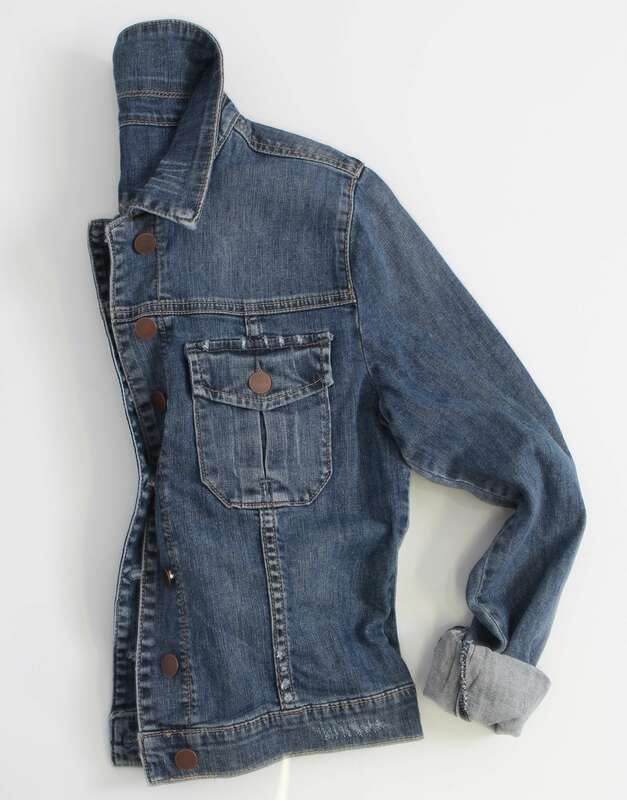 A jacket in a medium wash denim is the most versatile and can be dressed up or down. If you’re looking for a heavier denim jacket for autumn and winter, try a dark wash jacket. For summer, a jacket in a more casual light wash tends to go better with the airy sundresses and the sunnier color palette of the season.